The modern world has a tendency to get a little messy. 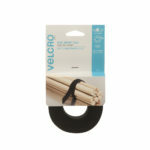 Our reusable straps and ties are a neat and simple way to bundle, secure, and carry the awkward clutter of life. 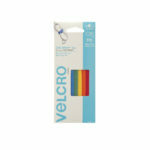 Learn more about VELCRO® Brand hook and loop tie and strap products. Adjustable, all purpose strap. Designed for indoor or outdoor use. 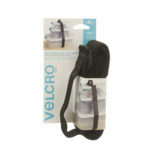 Get your gear off the ground with VELCRO® Brand EASY HANG™ Heavy Duty Storage Straps. Maximize the space in your garage, basement or storage area. Golf clubs, bikes, kayaks, hoses, tools, possibilities are endless. Adjustable, all purpose strap with handle. Reusable, presized ties. Perfect for wire and cord control. 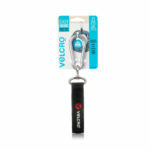 Reusable, custom cut to length for heavier-duty indoor or outdoor use. Reusable ties for heavier-duty indoor or outdoor use. 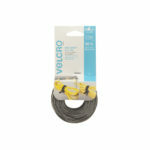 Perfect for thin wires or bulky cables. 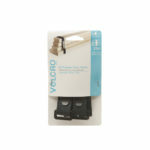 Adjustable, all purpose elastic straps conform to the shape of the item.